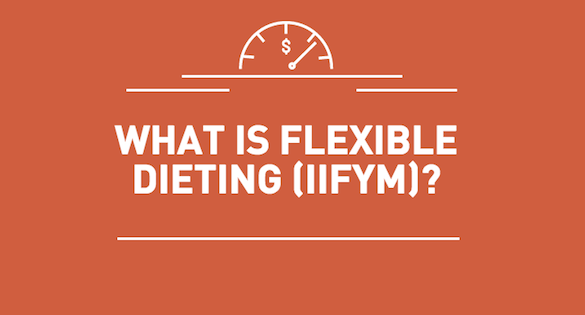 Home / All About IIFYM / What is Flexible Dieting (IIFYM)? Flexible Dieting or IIFYM (If It Fits Your Macros) is an approach to dieting that allows for greater flexibility in terms of food selection. Basically it means eating foods that meet your macronutrient needs. Flexible dieting is different from “clean eating” how? There is no list of specific foods that you can or can’t eat or avoid. There are no specific dietary rules, meal timing or meal frequency that you must adhere to. What there is is freedom and flexibility to do what suits you and your lifestyle. Can you eat X food? Sure, if it fits your macros and your goals. As long as your total daily caloric intake is satisfied through the proper allotment of protein, carbohydrate and fat, you can get those calories and macros through whatever food sources you wish (clean, bro, dirty, junk, nutritious, liquid, solid, etc.) and consume them in 1, 5, or 10 meals, at 12 am or 2 pm, or whatever time is convenient for you. There are also important things to consider like fiber intake and micronutrients, but ultimately, it’s up to you.